Myra has developed and taught workshops and advanced kinesiology courses since 1992. Online courses will become available later in the year. This series of Workshops is taught to provide the Tools of Change by this amazing system of energy bodies we are developing. I am delighted to announce the Courses which are the latest developments in Energy Healing Systems in the Energy Bodies. This is a System of Healing and Alignment during and for the new incoming realities and energies: Preparation for the new Era through the induction and activation of the New Earthing Matrix System. Supports and synchronises the shift of older existing energetic systems and aids enhanced focus to a more effective and elegant foundational level, with the new Earthing Anchoring system that allows for a deeper poise and stability through the initiation, activation, clearing and calibration of these new evolved Earthing Chakras. There are several stages of development, depending on the Soul’s journey choice this lifetime and their Soul capability. The first level of Chakras covers most existing human anatomies, whilst the second phase of Chakras is for the Light Seeker and Light Bringer. The later Earthing Chakra phase is specifically for Advanced Souls, as these require these Chakras for improved and safe connection to the Higher Chakras and the new Gridding Systems. All phases are covered in the course. Essential preparation to enable ability to ride out the further incoming energies in the New Dawn (New Era). 2 day Experiential and informative Workshop. With Manual. What Chakras Are These and What Purpose Do They Serve? A System of Clearing, Repair, balancing, de-clogging and enhancement for the developed Psychic Body Antennae and Psychic Body Anatomy. 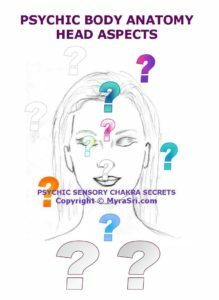 LightSeekers have been further developing their antennae and evolving new Chakras and now need to know about the care, maintenance, safe-guarding and preservation of their energy reading, clairaudience and sensate tools used in healing and in navigating life. These Chakras are not merely in the forehead, but also around the body. Particularly necessary in these ever increasing and higher energy frequency times. 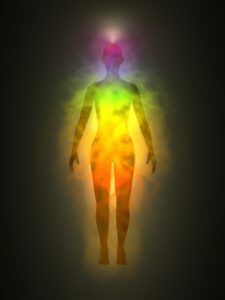 System of Identification, Diagnosis, Balance and Healing connecting both the physical and mental systems with the energetic and Chakra systems. This is a separate Chakra System that is now extremely relevant, easily accessed and extremely informative for speedier diagnosis of overwhelm, shock, survival, toxic penetration and cultural issues ranging from family, relationships to culture and geographic location. What Chakra System do these belong to? THE Workshop for Energy Workers! Spiritual and Energetic Protection and Energetic Management. Covers all aspects of Energy Healing, Energetic Interactions, Working with People, Toxic People and Working with Energy – Preparation, Protection & Clearings – And Exercises & Techniques. Includes Energetic, Psychic & Spiritual Ethics. For those working with any of the Energetic disciplines this is a MUST! This workshop was developed to enhance the understanding of energy work after studying Kinesiology, Ki-Force, Energy Meditation and Kinergetics. Also for working with those clients with Drug damage or in recovery. For Masseurs, Kinesiologists, Therapists, Counsellors, Medics / Nurses, Readers, Psychologists, Clairvoyants, Reiki and Theta Healers etc – all professional energy workers will benefit from this workshop! Even Performers have benefitted from the energy techniques which focus and harness their own energy and provide a level of non-interference from the minds and judgments of others. Cleaning up the Planet starts with cleaning up our own energy systems. This course is also suitable for NON-ENERGY WORKERS! Explains the dynamics of energetic interactions, and provides tools to strengthen the individual. Bring your personal questions to be answered… Includes a vast array of information from Practical, Sacred and Metaphysical sources. You will learn how to identify and clear easily and safely all sorts of problems. ‘Secrets Behind Energy Fields’ is a published handbook for energy management. Build on your Knowledge with this advanced information. 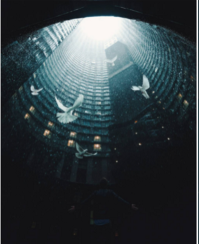 One Day-er where you can ask your really hard questions on all sorts of difficult energetic, interference or inter-dimensional issues from an expert on spiritual and energetic interference and issues. Manual provided. Discover some of my fast tracking techniques. Includes Soul Trauma and Soul Healing techniques and information. Get to some of the underpinning of your clients issues that resist healing. Distilled information at your fingertips. Manual provided. Working with historic issues, Past Life memories and traumas, inter-dimensional issues, and ancient resonances SAFELY! Four-Day Energy Workshop to work with your own issues, and to learn how to access and work deeply with clients. Discover the impact of working Karmically and avoid Karmic Comeback. Understand, identify & clear In-Utero and Pre-Conception effects. Trace Past Life triggers and unresolved issues safely. Enhance existing regression skills in tracing original causes safely – without infringement or negative cause & effect (karma) come-back. Combines Spiritual Healing and muscle-testing (kinesiology) or other Sensing / Psychic / Intuitive skills in an Ethical manner. For these current challenging times of energy shifts, change and realisation. The course author works multi-dimensionally, and in a safe manner, passing on information and skills that are absolutely unique in the kinesiology, shamanic and energy therapy field. Soul issues are explored and healed. Protocols and scan lists are provided. Here is your chance to work with your own Personal balancing of ancestral, genetic, past life, karmic or soul issues. Preferred pre-requisites are ‘Working with Energy’ Workshop / HygienEthics & any identification or basic muscle testing or (kinesiology) skills. Manual & 35+ Scan Book provided. Enquiries welcome. Clearing and cleaning your crystals. Understanding their qualities and shapes. Manuals provided. A one-day fun workshop for you to become familiar with your own crystals, and to learn more about crystals. Take time out to play. 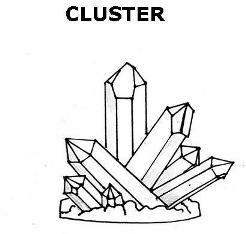 Building on the Crystals 101 Workshop, this workshop includes grids, gridding, and understanding the auric support of crystals in healing. Experience Crystal Healing.